Home health agencies are in the unique and challenging position of providing continued care for patients once they leave the confines of a hospital or clinic. They are often the final point of contact for patients as they move through the care continuum and work to transition back into their daily lives after being discharged. 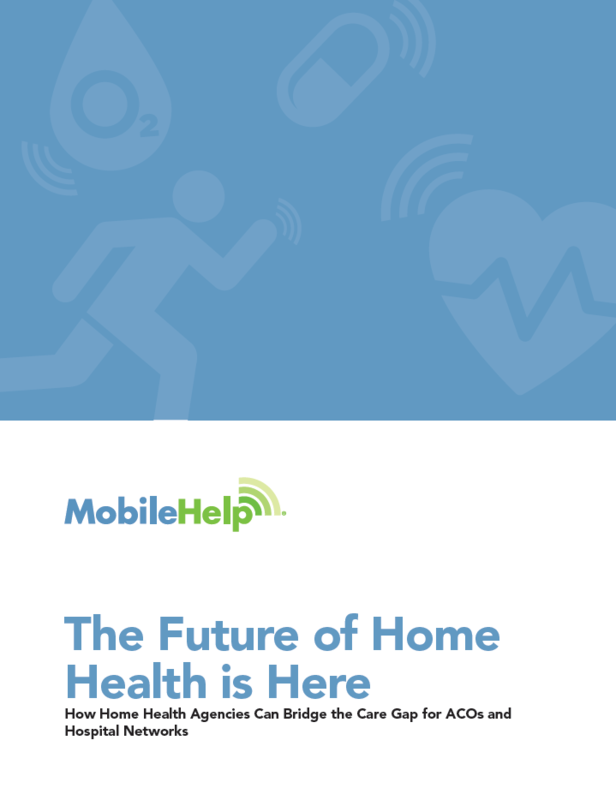 Over the past decade, telehealth technology has evolved into a reliable means for home health agencies to more effectively supervise a larger number of patients by regularly monitoring their vital signs and providing clinical intervention when required. In addition, recent studies have demonstrated that use of remote patient monitoring can reduce readmission rates by more optimally managing chronic disease states through ongoing vitals monitoring. But what happens when the paths of home health agencies and patients diverge? For years, patients have lacked an effective “step-down” solution to aid in the transition from clinical oversight to managing their own healthcare. Now, however, one home health agency is in the pilot phase of a new step-down technology solution to help patients monitor their own vital signs while still having access to emergency assistance should they need it. MobileHelp’s new medical alert system, MobileVitals was recently tested in a pilot program by the Visiting Nurse Association (VNA) of the Rockford Area, a part of the Rockford Health System – one of the largest health systems in the Midwest. The VNA believed MobileVitals was the step-down solution it needed to help its patients transition from the clinical oversight the VNA provides every day to managing their own care. Click the image below to view or download this white paper which explores the results of the MobileHelp and VNA of the Rockford Area pilot program.